Most landlords require a lease. The lease duration can be month to month or range from 8 to 12 months, depending on the requirements of the landlord and/or the tenancy laws of the state/province where the property is located. You will be expected to follow all aspects of a lease once you sign it, so be sure to read the entire document thoroughly and ask questions if you don't understand any parts of the lease. How much should I pay as the security deposit? Each state/province has its own laws. Usually, a damage or security deposit can never be more than one month's rent. Ask for a written receipt, if you pay a damage deposit. In most cases, a landlord may require last month's rent, but then an additional security deposit should not be requested. What will happen if I skip out on my lease? You will probably lose your deposit. If the deposit doesn't cover the loss, a landlord can pursue action in court. Am I responsible for my roommate? You better believe it! If your roommate signed the lease, then you are responsible for their actions, as well as your own. If they skip out on you and the landlord, you're held accountable for their share of the responsibilities and rental payment. I have submitted my Student Sublet or Roommate Profile listing and it's not online. Why? 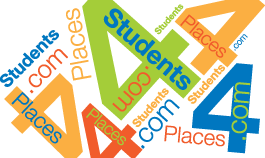 After you submit your listing, it must be reviewed by a Places4Students staff member before being posted online. Listings are posted hourly during our business hours, and once daily during weekends and holidays.